I love vinyl and I love stereos. it's a damning combination, financially... but it serves my overarching desire to listen to music in the best listening environment possible. I've found that because I'm constantly reassessing my own equipment, it's made me a pretty good resource for information about good stereos for listening to music on vinyl, especially for people who are just trying to get into it. 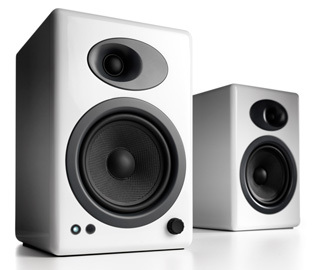 In the end, it's all about what your ear likes... some speakers sound better for music, some better for movies... and you could say essentially the same thing about receivers, turntables, cartridges, records vs mp3s, and everything. That aside, if you just need some ideas to get your ideal vinyl stereo setup started, the below notes will get you listening to your records happily in no time. The all-in-one turntable. 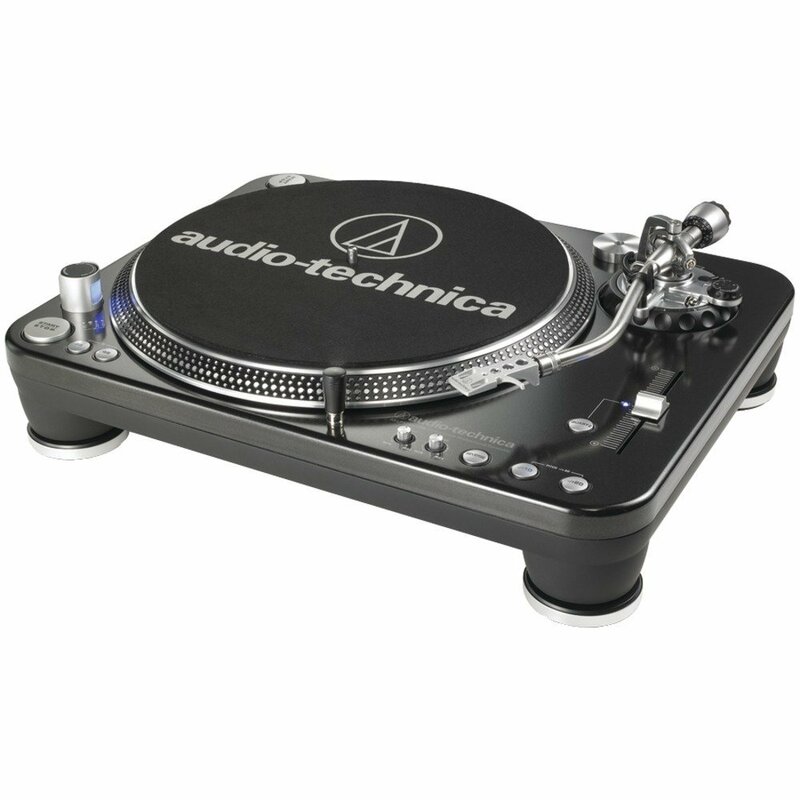 If this is your entry point for turntables, you absolutely must make sure the turntable you buy has RCA outputs (this one does) so you can potentially upgrade your setup by adding external speakers later. It wouldn't be much of an upgrade, but you'd be able to plug in active/powered speakers into this to at least get full sound. I don't consider this to be a great option though, and I wouldn't recommend it because although this turntable will play your vinyl, it will likely be a very hollow sound from the built-in speakers, and will probably be most susceptible to skipping. Ultimately, pretty hard on your vinyl, but it is an option if you just want to get something simple. Pick any one of these turntables, whichever is most budget friendly (you get what you pay for with these, but they serve the same functionality). As long as you get a turntable with a built in pre-amp (like all of these options) your turntable will work with most powered/active speakers (like these, linked below) and no other components. Just speakers, a turntable, and maybe some RCA cables to connect the two, but that should be it. These are the best powered speakers I've ever heard, and their simplicity makes them absolutely ideal for setup with these turntables in almost any space. For a very reasonable amount of money ($350-$950), you could have a really great turntable and any of these speakers for a very enviable setup. Pick a high quality turntable like the Pro-Ject Debut Carbon, a great receiver (like the Marantz 7008 pictured below), the best speakers you can find (my ears always fall in love with everything MartinLogan makes), and I recommend a sub in almost every scenario to make your sound more complete (I've always preferred Definitive Technology SuperCube subs... but there are great options out there). It's a lot of pieces, but it's the ultimate setup, and will ultimately bring the best combination of quality sound and upgrade potential with interchangeability. If you buy a lower end receiver, you might also need to buy an external preamp, but that's not a big deal. There are cheap and expensive options there... if everything else was high end, buy a high end preamp. If you're saving money buying more affordable equipment, you can get a cheap preamp that will serve you just fine. If you're receiver has a specific phono input you probably don't need a pre-amp, as a general rule of thumb. But my first complete setup was this and I loved it. My first complete setup cost me about $1000, and I loved it and thought it was incredible... it was. I had a mid-range turntable that didn't need a preamp, an affordable receiver, affordable Martin Logan bookshelf speakers, and I added a sub when I finally could swing it (which kicked it up quite a bit). Of course, some speaker wire as well... but that's easy. I didn't need a preamp because the AT turntables have them built-in. And finally, I'm putting this gloss white-on-white turntable (Music Hall MMF) and speakers (Audio Engine A5+) on here because my friend Jason told me that he didn't care about turntables until he saw this setup somewhere. White isn't my thing, but this would stand out pretty good as the centerpiece in a loft or something. In order to hook these two up, you just need a cheap external preamp and RCA cables. Not bad.